It's another warm autumn for the 3rd. 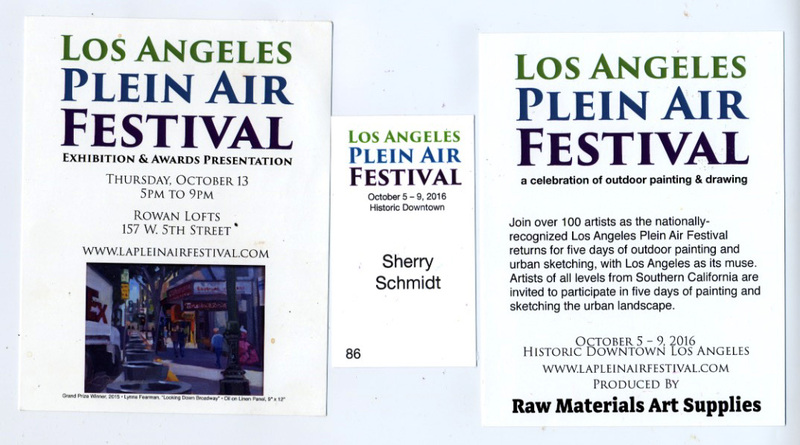 annual Los Angeles Plein Air Festival. 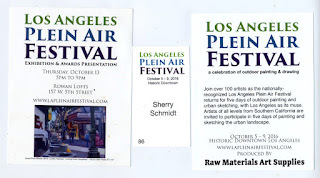 I had fun last year and posted my two paintings in LA Plein Air Festival. As before, certain areas were suggested for artists to paint on certain days. There were also special purchase awards for two businesses which would select the winning paintings to hang in their restaurant and theater venue. One cash award was offered by a crepe restaurant located in the 1924 12-story Spring Arcade Building connecting Spring Street with Broadway. This was the location for our Saturday paint-out. It was fun to paint downtown with so many other artists. 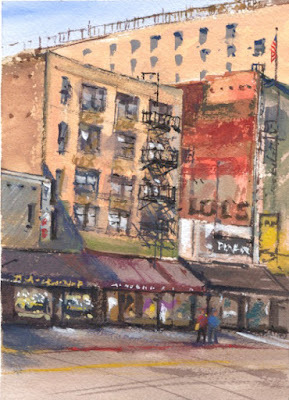 Many painters were in the arcade building trying for the purchase award from the crepe cafe. A few friends and I chose to paint street scenes from the west Broadway entrance of the arcade. As expected it was exciting to paint on a downtown Los Angeles sidewalk. Looking forward to next year's Festival. Broadway, the busy view south of my painting spot.